Coates & Seely were honoured to be asked to supply their sparkling wines at a dinner at Kensington Palace to celebrate HM The Queen’s 90th Birthday. The Party’s hosts were Historic Royal Palaces, the independent charity that looks after six of the UK’s most iconic royal palaces with such skill and imagination. 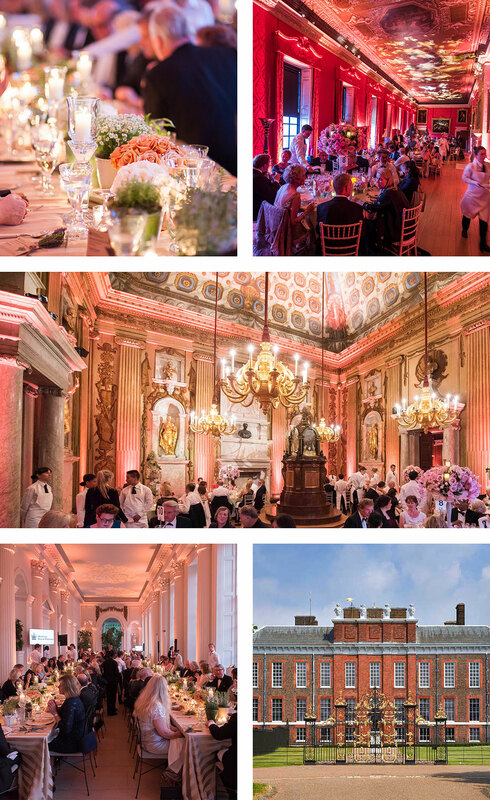 The party began with Coates & Seely’s White and Rosé sparkling wines served on the Palace terrace overlooking Kensington Gardens, before moving on to a sumptuous dinner in the Orangery. Afterwards, in a mood of increasing enchantment, guests were treated to a wonderful firework display that lit the Palace and its gardens to the strains of Handel, whilst the Coates & Seely wines continued to flow.